With more than 70 franchisees serving 430+ accounts in Minneapolis, St Paul, Rochester and the surrounding metro area, Vanguard’s vetted cleaning teams know that each customer has specific needs based on their industry, number of employees, building size and budget. 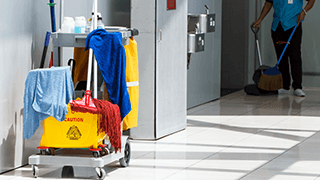 A Vanguard Cleaning Systems expert will match your company with the right janitorial crew for your unique needs. Stop trying to work around other companies’ limited commercial cleaning options and start working with a company that understands your specific needs. A clean building helps attract and retain customers and employees, saving you time, energy and money.